For conventional wiring of motors, servo-drives or linear units/drives, time and costs for cabling, maintenance and diagnostics are very high. Separate cables from the switch cabinet are used for the power supply and control of every single motor. This procedure does not only require much space, but also causes high costs. 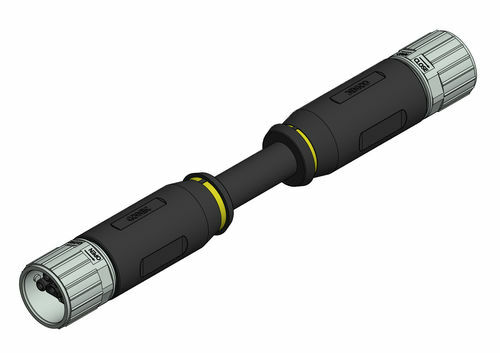 With the new CONEC series, a compact hybrid connector system has been developed, combining power supply and data transmission in one single connector. This technology is equivalent to the modern connection and interface wiring technology.